Achieving an Associate-level Continuity Professional (ABCP, AHCCP, APSCP) designation provides the novice with confidence that their understanding of the fundamentals of BCM is in line with current practices. It demonstrates to their employer that they are ready to take on a serious responsibility of building organizational resilience. The Certified-levelprofessional designations (CFCP, CBCP, CHCCP, CPSCP) are an expression of career maturity. Organizations can depend on these qualified individuals to build solid, reliable business continuity, disaster recovery, emergency management or operational resiliency programs. ​Why Upgrade Your DRIC Certification? No Re-Examination Required for ABCPs upgrading to CBCP! If you hold a current DRI Certification in good standing, you do not need to re-take the Qualifying Exam if you want to upgrade your certification. If you are upgrading to the CFCP or CBCP level, you will re-apply through the online certificaton application using your MyDRIC log in information. If you wish to apply for the MBCP certification, you must receive a passing score on the Master Case Study Exam in order to start the application. Your new application must conform to all the requirements applicable to the desired certification level. Those wishing to remain at the ABCP level of certification need to only pay their annual fee in order to maintain the active status of their certification. Additional training is typically not required to upgrade your DRIC Certification however, completing this training gives you deeper insight into your job functions. BC Management's 2015 data findings showed an increase in the percent of certified professionals from 77.6% in 2013 to 80.9% in 2014. 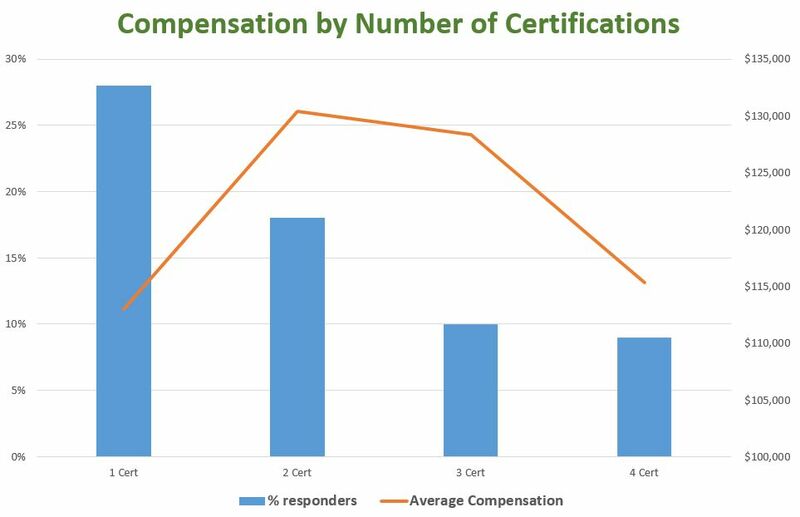 The data also highlighted those professionals with two, three and five certifications out earned their non-certified counterparts and that those with a certification typically received a higher total compensation increase of about 4.5% to 10.3% compared to the 3.5% increase for non-certified professionals. If you wish to apply for the Healthcare Certification, you must receive a passing score on the Healthcare Examination. If you wish to apply for the Public Sector Certification, you must receive a passing score on the Public Sector Examination. If you wish to apply for the Audit Certification, you must first take the Business Continuity Planning for Auditors training course and then receive a passing score on the Audit Examination. Application Waiver: For those currently holding certifications with DRI International (CBCP or MBCP), a portion of the experience section of the Certified-level application will be waived. If you are a DRIC Certified professional who has retired from full-time, active employment and have reached age 55, you may request a “retired” status to be designated on your certification records. Certification Retirement provides a means for professionals to maintain certification for periods of time when they are not working directly in the field or they are retiring from the industry. If for some reason you need to go back to full-time or part-time employment, you may reinstate your certification(s) by contacting the DRIC Certification Officer and stating your situation. From the date you are reinstated, that will be the beginning of your new two-year recertification period and you will then begin to accrue the required CEAPs needed to recertify your certification(s) by your new expiration date.